Ocean View_2019 Rates_ New House - 75 Ft. to Beach. Vacation here and enjoy the sights and sounds of the surf (you can see the ocean and bay from the 2nd floor living room and wrap-around deck). 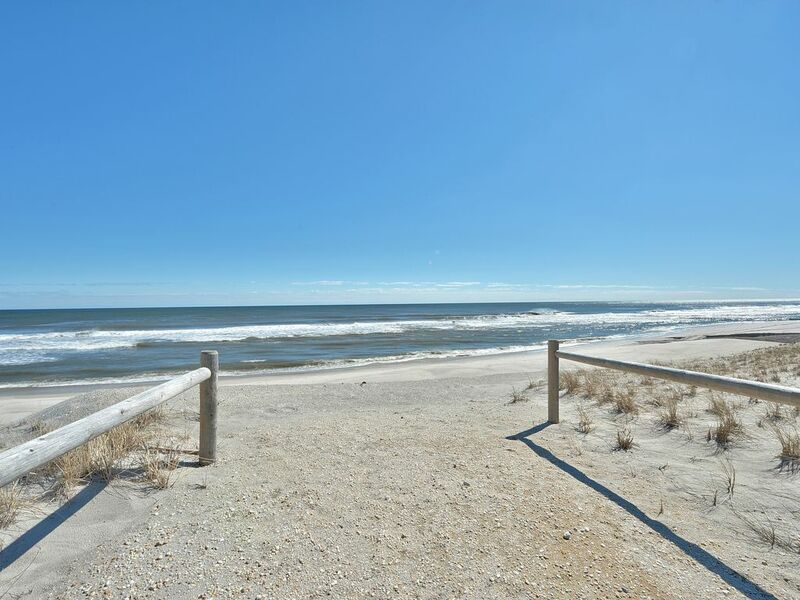 Enjoy our restaurants and shops here on Long Beach Island along with all the best the New Jersey beaches have to offer. We are 75 FEET TO THE BEACH. Fishing tackle and crabbing equipment are also available at the marina. Surfing and body surfing are the great past times as well as sunbathing. Come and enjoy our soft white sandy beaches. Families please. Ranked in the top 5 family beaches in the USA by National Geographic Traveler Magazine. We are 75 feet to the Atlantic Ocean Beach. We have an Ocean front view as well as Bay view. More free parking available next street over. Wifi included with a computer in the bunk room with windows XP. Trash bags, brooms, mops and cleaning products. Plastic bags, aluminum foil and storage products. Granite counter tops with full view of the Ocean and main room. Main inside dining table seats 8 plus additional breakfast nook seats 4. Outside dining for 6. Full view decks front and rear. Front deck over looks the Ocean and Bay. Available at Marina across the street. Borough facilities across the street. Nearby in Ocean Acres or Pleasantville.